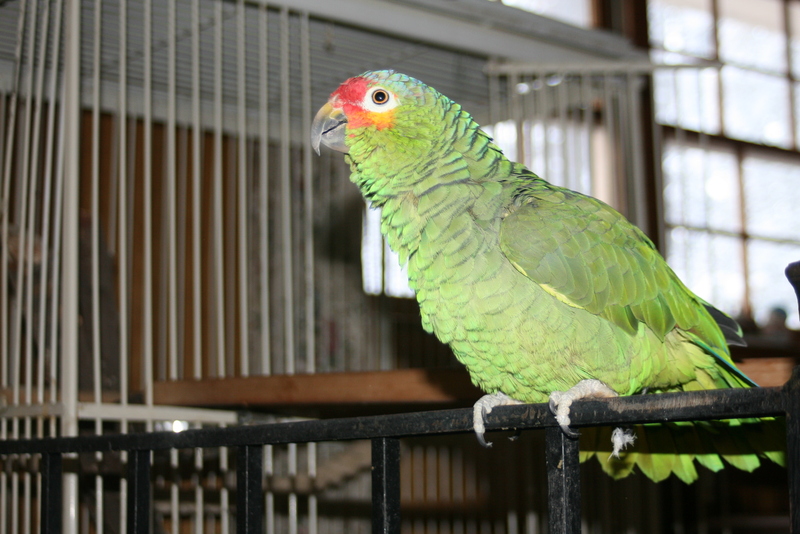 Jasper is a yellow cheek Amazon or also known as the Red Lored. He adopted us in Oct 1999 at the tender age of 5. He is now 23 years old and life has never been the same. He is the main character of my children’s book which has been picked up for publication. Parrots are perceptual 2 year olds. Jasper has the ability to say a number of words such as: “Hello”, “Hi”, “Mom, help”, and even the word no just to name a few. He has an uncanny way of being able to imitate any sound that he hears. His native home is the rain forest. Parrots like Jasper can live anywhere from 50-70 years old though some have lived longer. Generally when a parrot is purchased it is recommended to leave them in your will due to their longevity. Jasper’s favorite foods are pizza crust, any form of potato, watermelon and any green vegetable. His favorite television show is anything that is in black and white on TMC, cartoons or nature shows.